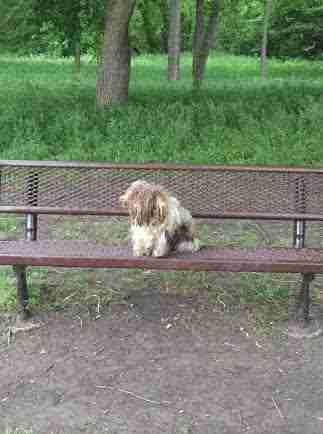 Someone had left a brown rug on a park bench. That’s what Kyle Dunlap thought when he drove into Towne Lake, a recreational area in McKinney, Texas, in April and spotted a brown object on one of the benches. But when Dunlap got out of his vehicle to take a closer look, he got the biggest surprise. 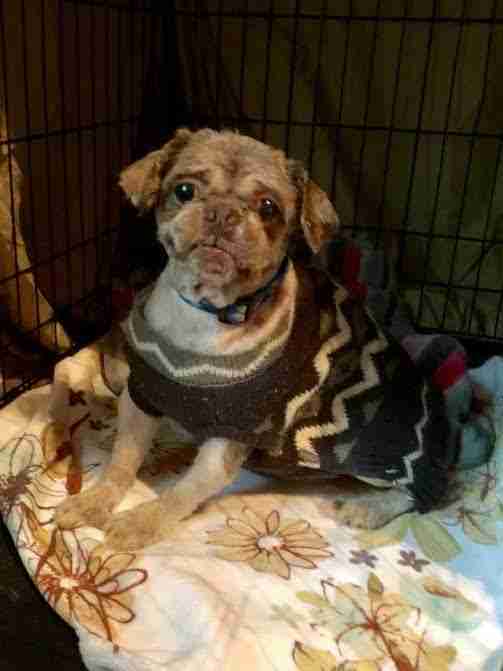 Dunlap and a coworker approached the dog, who was a Shih Tzu, but he growled and snapped at them. But this didn’t deter Dunlap, who realized that the dog was probably scared. Dunlap’s post got shared around, and Tara Holgate, who works for the SPCA of Texas, drove to the park to pick up the dog. 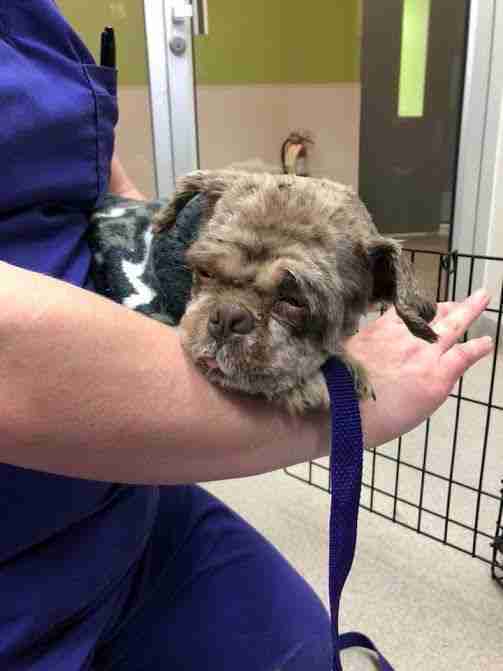 Holgate took the matted dog to work with her, and the clinic workers sedated him and shaved off his matted fur. They also vaccinated the dog, treated a few wounds he had and gave him medication for fleas and ticks. When the dog woke up from the sedation, he was noticeably happier. Holgate took the dog home with her that night, and the next day, the team at the SPCA of Texas was able to locate the dog’s family. The dog’s name, it turned out, was Oreo. Later that day, Holgate drove Oreo to reunite him with his family, and it was clear how much he wanted to be home. 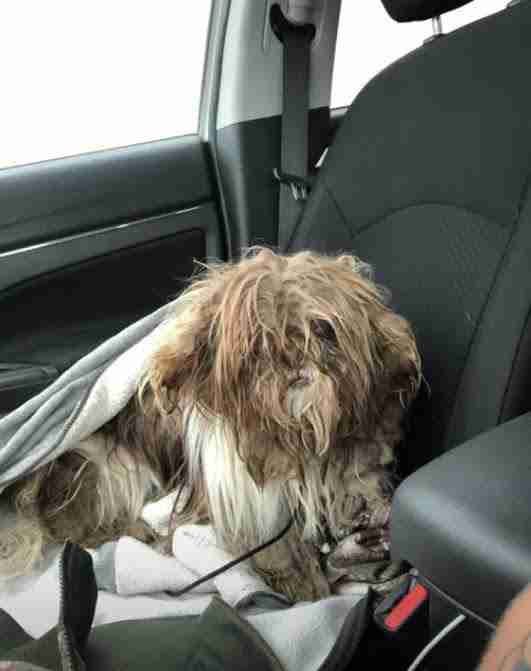 Holgate was a little surprised that the owner had allowed Oreo to become so matted, so she spoke extensively with her about how to properly care for him. “I just think they don’t understand how to care for a breed that has a lot of hair, that can easily get matted,” Holgate said. But Holgate is optimistic that Oreo’s family will take better care of him in the future. As for Dunlap, he’s pleased with the part he played in helping to rescue Oreo. “I just thought it was a pretty cool thing how he was looking terrible, and someone I met on Facebook came and changed his day,” Dunlap said. To help rescue more dogs like Oreo, you can make a donation to the SPCA of Texas.